NYC, 02/06/2019, 6:30PM. Mexico: Between Life and Death. Photographer Harvey Stein explores the culture and rituals of our southern neighbors in his book, Mexico: Between Life and Death. Visiting Mexico fourteen times over two decades, Stein documents time during holidays and festivals, when even small towns come alive with vibrant celebration of the dead, myth, ritual and religion. 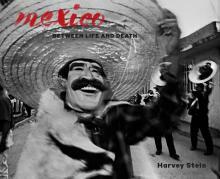 Harvey Stein is a professional photographer, teacher, lecturer, and author. He is the author of eight previous books of photography, including Coney Island (1998), Movimento: Glimpses of Italian Street Life (2007), and Harlem Street Portraits(2013).